There’s a certain someone you really want to impress. But you’re not one to wave your railway conglomerates around. It’s just not the way you were raised. So here’s what you do: take said person out to a nice dinner. 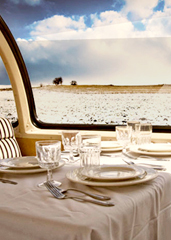 If it happens to be on your personal dining car—oh, well, gee. You guess it is. Until you get that railway, there’s this: Dining with Pullman, which restores the golden era of train travel, accepting reservations now for next weekend. The people behind it own a Chicago-based railway concern and five Pullman cars restored to their original opulence. They plan to introduce sleepover routes to New York and New Orleans later this year. So consider this an amuse-bouche—or a belated Valentine’s Day date. After dinner, order a whiskey in the club car and do your best Cary Grant in North by Northwest. Beware of crop dusters on exiting. 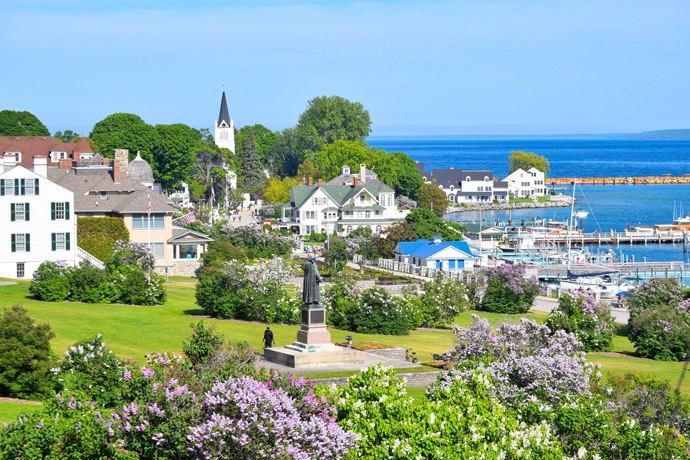 Fudge, Whiskey, Horse and Buggy-Filled Islands. It's Gonna Be a Good Summer.